London Is The SEO Capital Of Europe! What Makes the Capital Such a Magnet for Online Marketing Companies? London is open for business following the EU referendum, and its thriving SEO industry is going from strength to strength. London is a major business hub, and when it comes to technology and the online industries it's often regarded as the most influential city in Europe. A thriving commercial city that's home to established businesses and start-ups alike, many of which are marketing and SEO companies. So what makes London so appealing to those businesses – and what does the future hold as the UK moves to exit the EU? London is a hugely diverse city, and you'll find that there are very different business districts. The Square Mile, Canary Wharf and the West End are where you'll find bigger, wealthier companies. Office space in these areas would normally be out of reach for smaller companies, and big business totally dominates. After the EU referendum result, though, more office space in these Central London districts may become available as some larger businesses relocate to the continent. As the big companies move out, the office space will become cheaper – so new businesses could establish themselves in the heart of the capital. Brexit was seen as bad news for business, but for some, there could be real benefits. It's not just central London where business is thriving. In places like Shoreditch that are experiencing extensive regeneration, you'll find lots of businesses moving in and taking advantage of the area's new-found popularity. East London is a real creative and innovative hub too – the perfect location for an online business to set up home. Shoreditch's ultra-cool reputation also helps marketing and SEO businesses to attract clients. It's not just the prestige of having a base in London that's attracting online marketing companies though. There are plenty of SEO events and conferences happening all year round. These present great networking and educational opportunities for businesses – especially ones who are just starting out in the industry. The award-winning Festival of Marketing will be held in Wapping in October, and is a must for anyone wanting to learn about marketing from some of the biggest names in the business. In November, the UK Search Awards will be coming to town. This event is regarded as the best place to be for everything relating to SEO, PPC and content marketing. There are so many other SEO events going on in London too, each one offering businesses incredible insight and opportunities. If you're looking for SEO services London is the place to go. It's a city that's got a global presence, and is open for business no matter what happens. 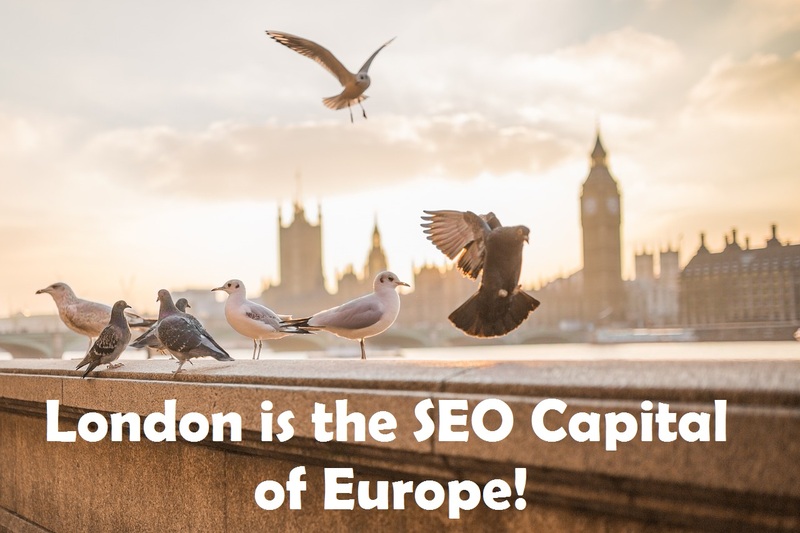 It's hard to say what the EU referendum result will do for the fortunes of the capital, but with plenty of opportunities in a thriving industry, SEO companies look to be reaping the rewards of life in London. So it's worth keeping an eye on how things develop in the capital over the coming months and years. Whether you're the boss of an SEO business or someone looking for help with their online marketing, there's only one place you should be looking. With businesses looking to move into areas that they've previously been priced out of and industry leaders coming to share their knowledge at events, London is the true SEO capital of Europe – and looks set to remain that way for the foreseeable future. Danny Hall co-directs FSE Online, one of Essex’s leading SEO companies. Danny specialises in technical SEO supported by quality content and stylish design.